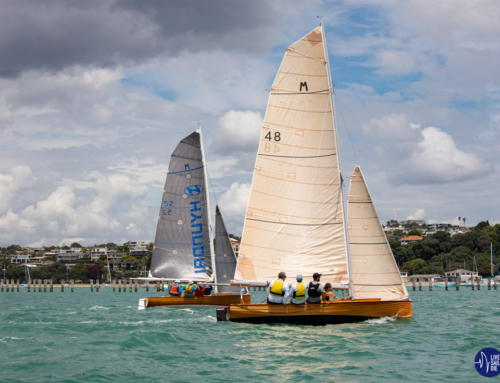 It was a stressful day of racing for the M-Class fleet at their 76th Annual Arch Logan Memorial Race which was held on Saturday 9 April on the Waitemata Harbour. Six boats were entered in this years race. Mach One, Menace, Motivator, Marksman, Marlin and Mirage. 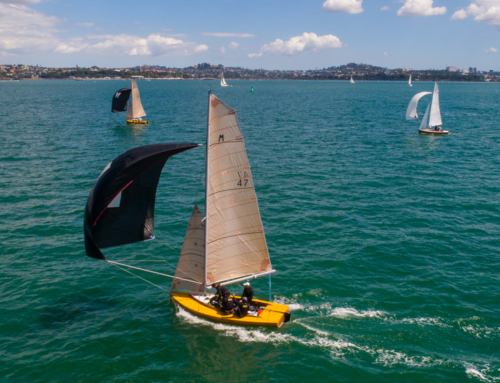 The conditions on Auckland have been anything but normal over the last few weeks with days after days of sunshine and no wind. 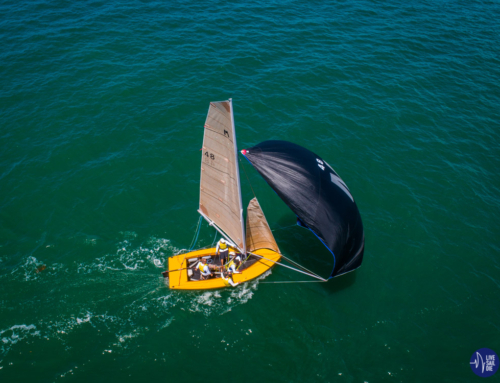 Fleets are being forced to race in challenging conditions, outside of their comfort zone. There was an option to move the race to Sunday, however it was looking worse then Saturday! So the fleet hit the start line, drifted over, and some two hours later finally finished the marathon harbour course. The positions changed several times throughout the day with frustration evident on the faces of the sailors. Eventually it was Mach One who took the win. Howard Spencer and his crew Ray Davies, Nick Nicholson and Nick Hanson were stoked to have the race over with a successful result. The handicap win went to Motivator skipped by Lanny Walker, who had some Flying 15 ring-ings who jumped on board for the historical race. Sally Garrett, Jenny Price and Brian Kent jumped classes for the day to get Lanny on the water and racing, with a positive outcome. The season has now come to a close for the M-Class Fleet and the boats will vacate the ramp at The Landing, Royal Akarana Yacht Club for their winter maintenance before getting back on the ramp in October 2016 for the next season of racing.